Scaled-down electric vehicle battery cooling plates were formed from multi-layered Al brazing sheets in the O and H24 sheet tempers between room temperature and 250 °C. The formed plates were joined using an industrial furnace brazing process. All brazed assemblies were leak-free when an internal pressure of 0.28 MPa was applied, demonstrating the integrity of the components. Digital radiography of the brazed assemblies revealed only localized defects within individual samples, with no obvious patterns appearing across all samples of a given forming condition. Thus, no clear difference in brazing performance between forming conditions was noted at the component level, although slightly more consistent brazed fillets were noted for the H24-250 °C condition compared to H24-RT. Strain distributions throughout the formed plate were predicted using a finite element model, to facilitate microstructure analysis of the brazed assemblies. The post-braze microstructure in plates formed from O temper sheet depended on the local strain, but did not strongly depend on forming temperature: liquid film migration and a non-recrystallized core were observed at locations of relatively low strain, while coarse recrystallized core grains and a clad residue were found at locations of high strain. Conversely, the microstructure was homogeneous throughout H24 temper plates formed at room temperature and at 250 °C, and consisted of a recrystallized core alloy and a clad residue layer at the sheet surface. 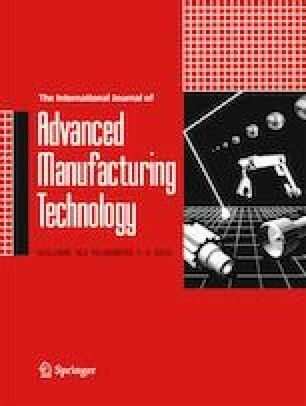 It is concluded that warm forming does not adversely affect the brazing performance of Al brazing sheet and, therefore, is a promising manufacturing technique for the production of next-generation heat exchangers. The authors would also like to acknowledge Chris Shore, Zeljko Gabriscek, Farzad Younesi, and Mona Emrich, all of Dana Canada Corporation, for their assistance in obtaining experimental results. Financial support for this work was provided by the Natural Sciences and Engineering Research Council of Canada (grant number APCPJ 447970-13), as well as the Ontario Research Fund and Initiative for Automotive Manufacturing Innovation (file number RE-1-054).